The Facelift ProcedureDr Nancy Van Laeken MD, FRCSC, Plastic Surgeon discusses the facelift procedure. A plastic surgeon is a physician who specializes in reconstructive and cosmetic surgery, including facelifts. A dermatologist is a physician who specializes in diagnosing, treating and preventing conditions related to the skin, hair and nails. A dermatologist may do some cosmetic procedures, and can help you decide and recover from a facelift procedure. Conversation based on: Facial Aesthetic Surgery: Facelift Procedure " Chantal a 55-year-old female "
How long does it take for a procedure like this to heal? Are there any post surgical risks to consider? Reply to: Facial Aesthetic Surgery: Facelift Procedure " Chantal a 55-year-old female "
I am wondering at what age is it typically recommended to consider eye surgery? I have a very heavy upper lid that I know will eventually weight my lids down. I'm still ok at this time but wonder at what age do most women come in for this? That's a really good question @Chantal. I imagine most women once they reach their 40's are becoming more aware of their skin tone, appearance of wrinkles, and general complexion. I would think that visiting your family doctor would be a good start, with perhaps a referral to a dermatologist. I would be interested in non-surgical approaches first, followed by a consult with a cosmetic surgeon to explore whether you're a good candidate for eye surgery. Are there any non-surgical ways to help women feel happier with the way their faces look as they age? Either changing their mentality around it, or maybe diet or exercise that can help with some of the naturally loosening skin? Diet certainly has an effect on overall health, and there seems to be some evidence to show that supplementation of some vitamins and poly-unsaturated fatty acids can help protect the skin against sun damage and dermatitis. 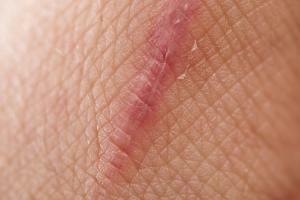 I agree, it would be interesting to hear from a dermatologist on this topic! I would love to hear from one of the dermatologists on here about the best skin care practices for aging skin. I know as I approach my 40's, taking care of my skin is becoming more important to me. I would like to hear more about the benefits of hydration and diet on skin health. MeiZen Facial Cosmetic treatments not only improve the look and texture of the skin but it revitalizes the whole face and improves the health of the client. They look and feel younger and more vibrant. When you feel good you look good. Following the initial protocol it is good to come in once a month at least to keep it all moving positively in a higher level of health. And once per year to do the protocol again. It is an investment of good health. What MeiZen Facial Cosmetic treatments ? Are they injections ? How long would the lower face lift procedure take? Is it possible to lift the saggy, wrinkly skin in the neck area? This would be a neck lift I believe. My understanding is they often recommend that you get both the lower face and neck lift done so that they "match". You will often see women who have had facelifts but are left with aging saggy necks. To really refresh your look you would have to have both areas done. This lady could also benefit from having MeiZen Cosmetic Acupuncture. This protocol is based on Chinese Medicine Theory so not only does it focus on the visual improvements a person's face and neck, positive side effects that have been reported are; improved quality of sleep, healthier blood pressure, reduction of depression and anxiety episodes, improved digestion. How long would cosmetic acupuncture last compared to a cosmetic facelift ? How does one going about finding a trusted plastic surgeon? 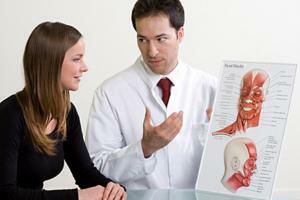 Is there a health assessment that needs to be done before the procedure? What is the risk of infection after a face lift ? What procedures should be followed to limit risk of infection ? 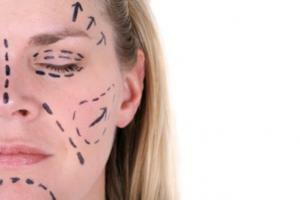 What is the recovery process after a face lift ? 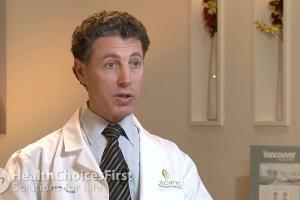 What's the cost range for facelift procedures? For patients who work, how much time off is suggested for typical facelift procedures? I think if you have the means to get the procedure and know that there is recovery time, then a facelift or any form of plastic surgery is a positive if it makes you feel better about yourself. How many years after a facelift do you find the skin starts to sag again ? Has the recovery period for facelifts improved ?